Primary brain tumors, in which the cancer originates in the brain, account for 50 percent of brain tumors. Secondary or metastatic brain cancer, in which cancerous cells have spread to the brain from a tumor located elsewhere in the body, accounts for the other cases. Twenty to thirty percent of patients with metastatic cancer–cancer that spreads from its origin–develop secondary brain cancer. Categories of peritumoral fiber structures within tumor-infiltrated brain regions. Approximately 100,000 cases of secondary brain cancer are diagnosed each year in the United States to the American Cancer Society, more than 22,000 Americans will be diagnosed with brain cancer in 2011 and more than 13,000 will die from the disease. The annual incidence of brain cancer in this country is 15–20 cases per 100,000 people. The disease is the leading cause of cancer-related death in patients younger than age 35. The annual incidence of primary brain cancer in children is about 3 per 100,000. 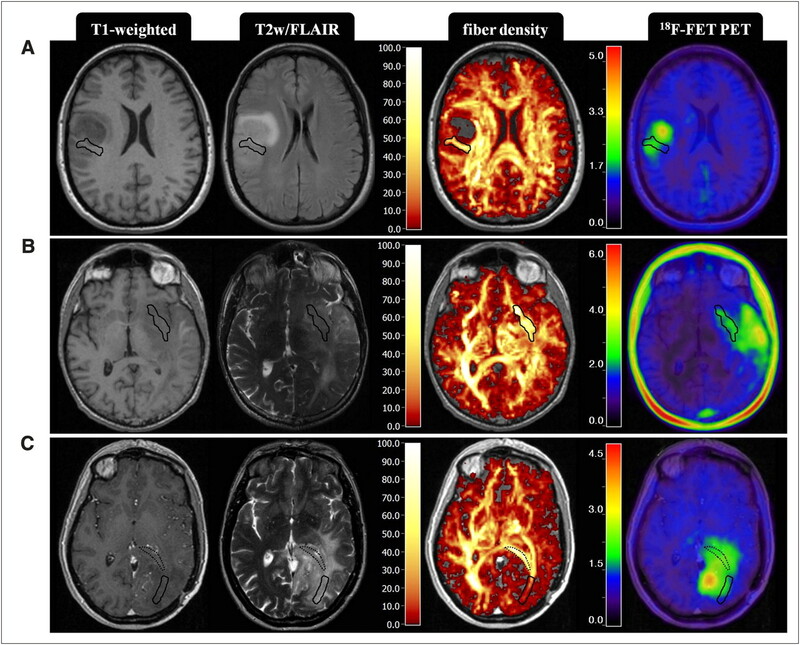 Molecular imaging is very useful for guiding the management of brain tumors. Physicians use PET studies to define the degree of malignancy, determine the extent of the disease and to detect cancer recurrences. guiding the precise targeting of radiation to a recurring brain tumor.